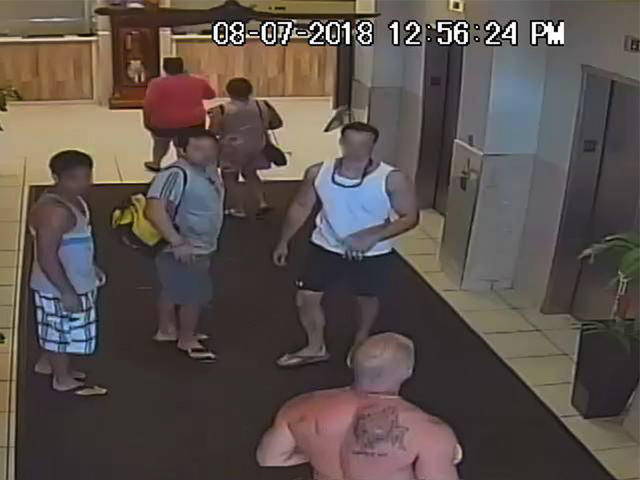 Police need help finding a man who was seen exposing himself to minors in an Ocean City hotel pool. The man was allegedly exposing himself on Tuesday in the indoor pool in the area of 21st Street around 1 in the afternoon. Police say he is in his 40's with a muscular build and a tattoo on his back covering his right shoulder. He was last seen wearing dark blue swim trunks and black sneakers with white soles. If you have any information, please email PFC Gutowski at agutowski@oceancitymd.gov or call our Crime Tip Hotline number at 410-520-5136. You can also leave an anonymous tip at oceancitymd.gov/police.